Wood Care preserving offers Basic Waterproofing Finishes. Our durable basic finishes maintain a protective coating through winter. Our wood sealant goes on easy, dries quickly, and provides a non-slip finish. Keeping exposed teak looking its best is challenging. 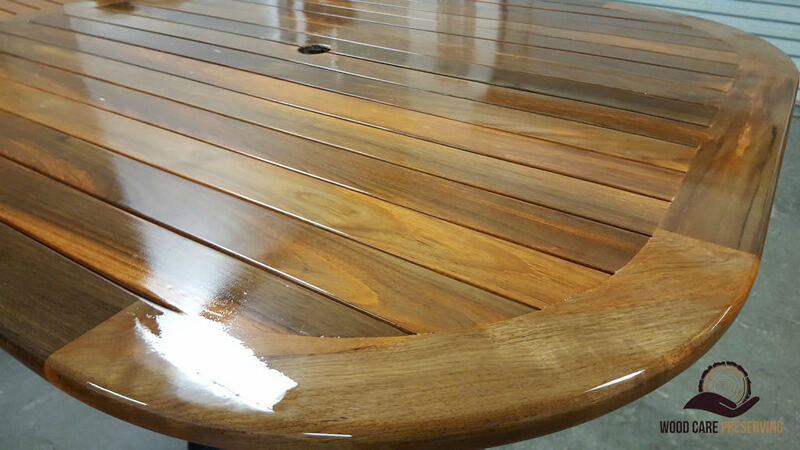 Most common teak sealants are solvent and linseed oil based, and oxidize over time. The oxidization of surface oils causes teak wood to appear weathered or gray. Our sealers contains UV protection and a mildewcide to eliminate these problems. It can also be used to seal other woods such as cedar, oak, and pine. Preferred by our residential customers, since they can be done on site. 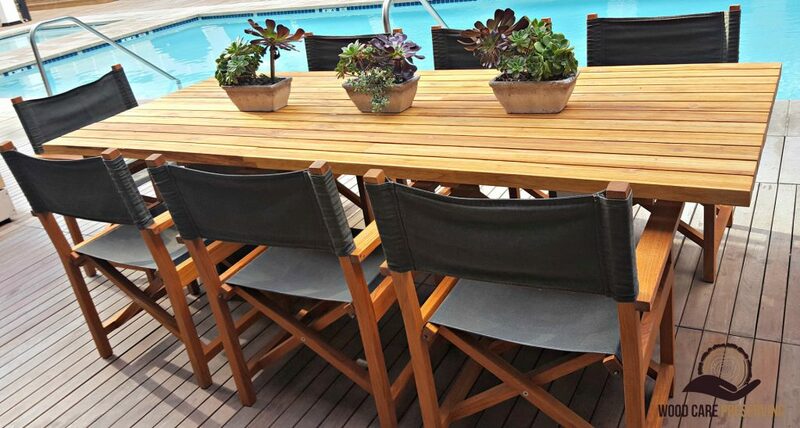 Commercial coating is completely wipe-able and allows you to keep your Teak Furniture looking great all the time. 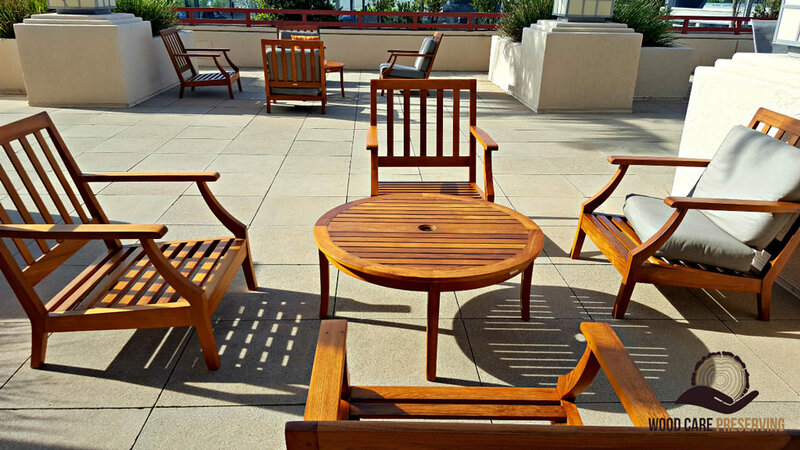 Commercial Coatings are long-lasting, highly durable finishes used where teak must endure extreme conditions, salt water, and constant exposure to the sun and other elements. Preferred finishes by Hotels, Museums, and HOA’s. Five star resorts and hotels love our mirror-like gloss. We offer a global leader of topside finishing systems to not only beautify but also protect your furniture, you don’t need to own a yacht in order to have this premium finish on your furniture. Our topside finishing systems, including topcoats, undercoats, primers, and fillers, give you that unique and unmistakable Yacht Finish look. Just ask one of our knowledgeable experts. 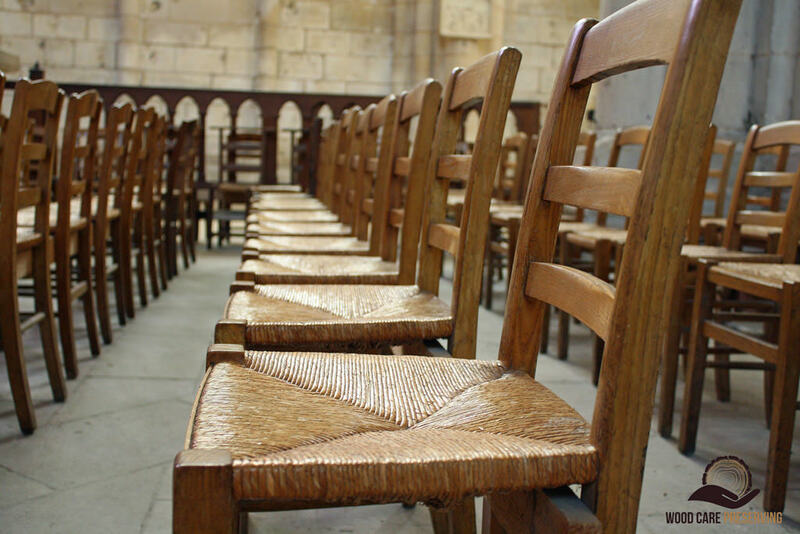 Our furniture repair specialists will be happy to discuss your furniture restoration needs, and determine the best approach for each project. Broken legs, arms, seats, backs, etc.